A sales funnel is the customer’s journey or path prospects follow from the time they become aware of who you are to buying your product or service. This journey can be represented by a graphical image that breaks the lead’s development out into a series of steps designed to increase engagement and trust. Creating a sales funnel document helps teams identify sales and marketing activities that will help to build trust and increase customer engagement. Once visualized these tasks can be built into CRM tools like Pipedrive, helping teams, manage leads, stay on task, and prioritize their follow up efforts. You can build a try Pipedrive’s lead management capabilities for yourself by visiting their website and signing up for a free 14-day trial today. A sales funnel illustrates your customer’s journey and works by increasing the level of engagement and trust in each interaction with your prospect. It typically contains six stages, starting with awareness and ending with loyal customers. Each stage has more meaningful activities than the last. While not all prospects will reach the end of the funnel, those who do are actively engaged and therefore more serious about buying your product or service. Depending on your business and industry, you could have 1,000 prospects at the top of your funnel. However, towards the end of your funnel, you may have 25 prospects. While these 25 prospects are more likely to convert than the ones at the top of the sales funnel, at the very end, there may only be five customers who’ve made a purchase and only two that are repeat customers. Sales funnels serve as roadmaps for how you create your prospects’ experience with your company. Sales, marketing, and business professionals use sales funnels to strategically plan the activities they will take to help increase a customer’s trust in the company or product, which will in turn help move a prospect closer to a buying decision. For example, at the beginning of the sales funnel, prospect interaction is low and the number of prospects is high. This is the awareness stage where you do advertising or another form of low-cost, low-touch, broad outreach. The next stages have fewer people in them and require activities that take more time and attention. This is where you’d send emails, make phone calls, or invite qualified interested prospects to a webinar to learn more about your offerings. In addition to using your sales funnel for strategic planning, you can use CRM software like Pipedrive to help you save time and focus on moving more customers to the end of your sales funnel with automation tools and activity reminders. For instance, the Smart Contact Data feature can decrease prospect research time and email templates can save time spent on drafting emails from scratch. The most effective sales funnels are illustrated with step-by-step corresponding sales and marketing activities. CRM tools like Pipedrive can help you create visual sales funnels that align with your pipelines while helping you manage activities needed to convince your prospects to buy from you. Sales funnels are right for businesses that rely on a high degree of prospect interaction and engagement to make sales or close deals. Their sales process may be long and complex or they may be selling a high-ticket item that requires a lot of consideration by the customer. Both B2B and B2C businesses use sales funnels. Sales managers and professionals – Sales managers and professionals create sales funnels to plan the sales activities that will move their prospects from the beginning to the end of the sales funnel. Marketing managers – Marketing managers use sales funnels to create a prospect experience that aligns with the company’s brand and builds solid relationships that lead to higher conversion rates. Business owners and managers – Similar to marketing managers, business owners and managers use sales funnels to build relationships with prospects so that they are likely to become customers. Sales funnel stages are the steps in the sales funnel that represent what the prospect is experiencing and how close they are to becoming a customer. 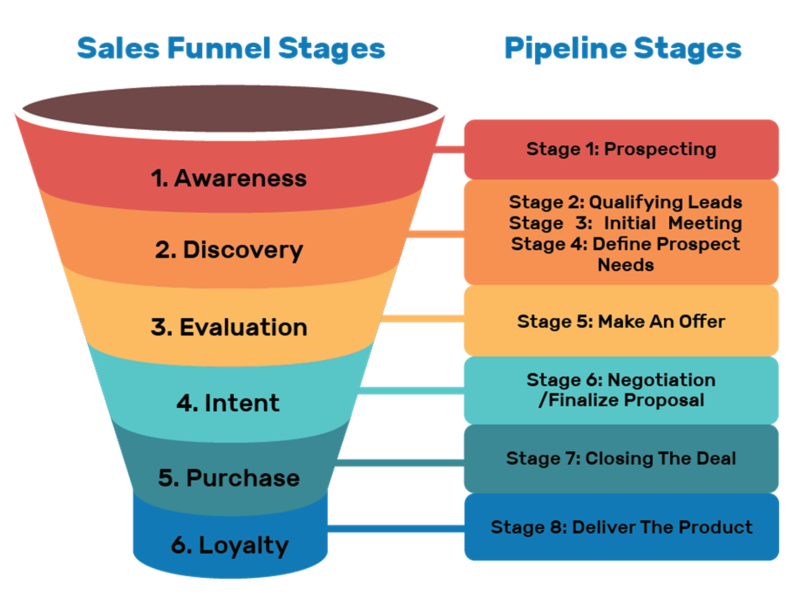 There are six stages in a sales funnel, and they correspond to the eight pipeline stages that every sales team should have. They can also be customized for your business. In the Awareness stage, you are making prospects aware of your company, products, and brand. This is the introductory phase where they are learning who you are, what you do, and how you are unique. This stage corresponds to the prospecting and lead generation stage of your pipeline stages. The Discovery stage is where your prospect’s interest is piqued. They are curious about your company and products and want to learn more. In this stage, you are sharing valuable educational content related to your prospect’s problem or need. This stage occurs while you are qualifying your prospect, conducting initial meetings, and defining their needs. At this stage, your prospect is evaluating you, your company, and your products and services. They are also looking at other options to see how you compare to them. At this point, you have probably sent them an initial quote or proposal. In the Intent stage, your prospect has made a decision to buy from you, but the deal hasn’t closed yet. They plan to buy but want to make sure your quote or proposal encompass everything they need at a price they are willing to pay. Here, you are negotiating terms or finalizing your proposal. At this stage, the deal is closed and your prospect is now your new customer. 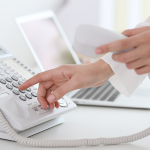 This is the honeymoon phase and presents the best opportunity to ask for referrals. The corresponding pipeline stage is closing the deal. If your product or service is delivered over time, you have an opportunity to identify other needs that your products can meet and make additional sales. If your product is more of a one-time purchase, you can create a strategy to continue building the relationship with your new customer so they keep you top of mind and buy from you in the future. After the stages of your sales funnel have been defined, you will need to set it up in order to make it a reality. Setting up and executing an effective sales funnel requires planning and use of technology. You need to plan your prospect’s experience ahead of time and use tools to facilitate actions that create the prospect experience. We’ve created a sales funnel template so you don’t have to create one from scratch. Download the sales funnel template to follow along and set up your own. The first thing you need to do when setting up your sales funnel is to map out your prospect’s experience within each stage of your sales funnel. 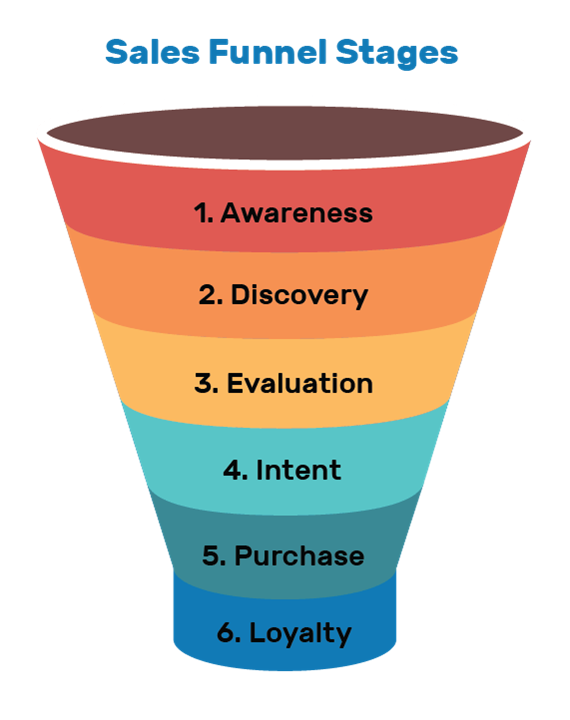 This is what your prospect will experience when they interact with you at each stage of your sales funnel. You can use post-it notes or you can use Pipedrive to create and visualize your sales funnel. Here’s an example. To create your prospect experience in the Awareness stage, think about and articulate what you will do or say to your prospects when you first meet them. Then think about how your interaction will make them feel. Consider your prospects and their needs as you’re doing this. Then, document your actions and your prospect’s experience for this stage. Repeat this throughout the entire sales funnel. After you’ve mapped out your prospect’s experience, make sure they align with your team’s pipeline stages. You can do this on paper or in CRM software like Pipedrive. You can also refer to our article on how to create an effective sales plan for more information about pipeline stages and how they relate to your sales strategy. After you’ve aligned your sales funnel stages and your pipeline stages, list each sales activity you will engage in to create the prospect’s experience in each stage. For instance, if you plan to send white papers, articles, and videos to your prospect during the Discovery stage to create trust, document these activities. Example sales activities for the Awareness Stage. You could sponsor a local event filled with your target audience and collect contact information from event attendees to get them into your sales funnel. 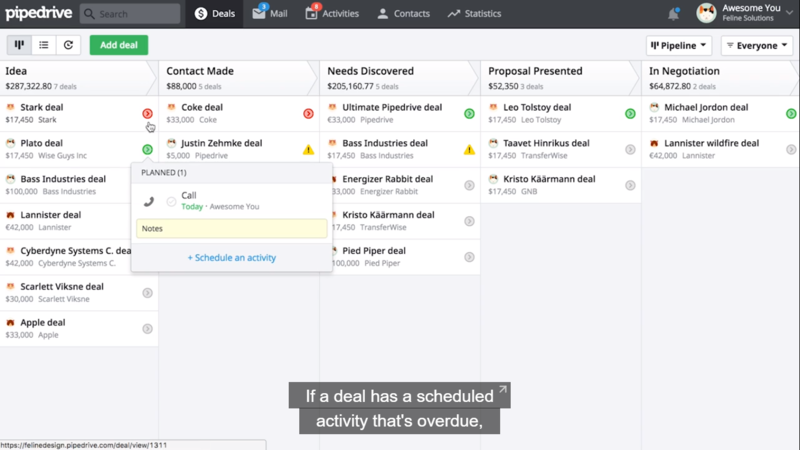 Example sales activities for the Discovery Stage. Once you get your prospect’s contact information at the event, you can invite them to an educational webinar. At the same time, you can further qualify them by asking qualifying questions during the webinar registration process. Once you have identified the activities that will help increase customer engagement or build trust, you will be able to match your sales funnel activities and related tasks to your corresponding pipeline stages. Doing this will keep you focused on performing the right sales activities for each pipeline stage. Setting up your sales funnel is the key to creating powerful prospect experiences. It is important that you map them out ahead of time to ensure your sales process is in alignment with the customer’s journey. A CRM tool like Pipedrive, set up to mirror your sales funnel activities, can then help you manage and stay focused on the most important tasks during each stage in the process. Businesses built around one or two customers that aren’t looking expand should focus on building out the loyalty phase of the sales funnel. However, a CRM is best for managing the customer’s journey for businesses that want to create the best possible experience during each stage of the process in order to increase your number of sales, as they provide tools to help you automate and scale your sales funnel activities. 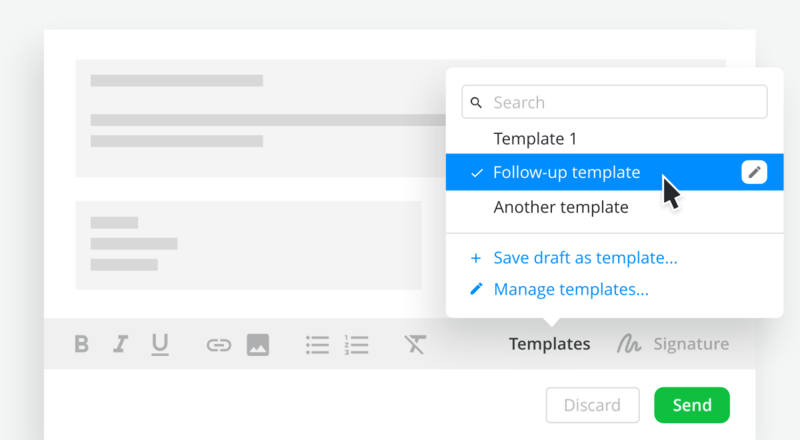 Workflow automation tools can help you manage prospects through a sales funnel by helping you complete repetitive tasks in your sales process that are triggered by certain actions. For instance, in the Awareness stage, you may want your prospect to feel important after you’ve first met, so you send a “Nice to Meet You” email. You can automate this task in your CRM. For email template ideas, see our article on Sales Email Templates. For example, in CRM tools like Pipedrive, you can set up a workflow called “Nice to Meet You Email” that will automatically go out when you first enter your prospect’s information into the tool. This will save you time and will allow you to meet and follow-up with more prospects than if you did this manually. 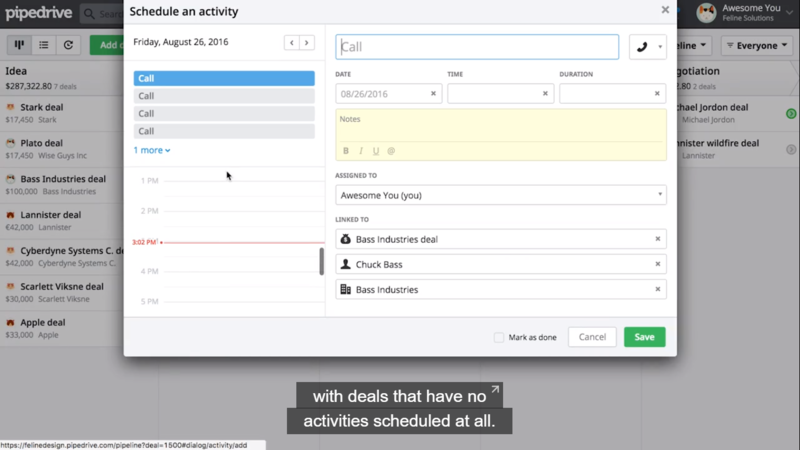 Using activity schedulers is another way to manage prospects through a sales funnel. Activity schedulers allow you to schedule sales activities and incorporate them into your calendar. Doing this helps you focus on prospect engagement activities that are most likely to move them through the sales cycle. They are also a tool to help remember to carry out these activities. Pipedrive’s tool allows you to click on the activity icon within your deals or opportunities and add activities. 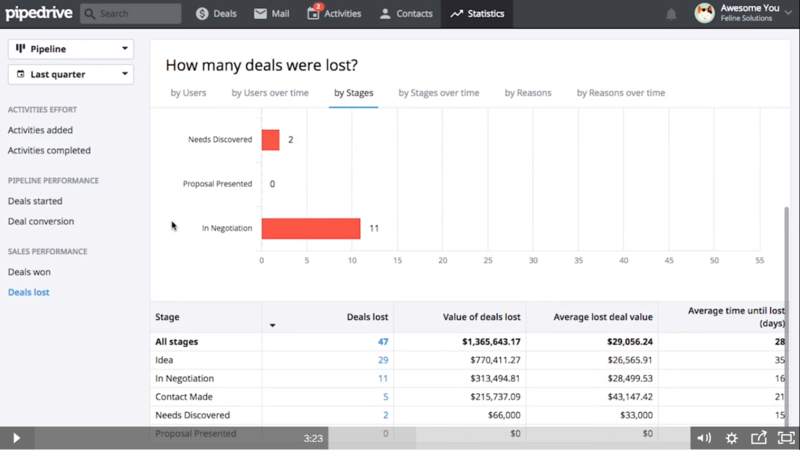 This lets you visualize your sales funnel activities along with corresponding pipeline stages. 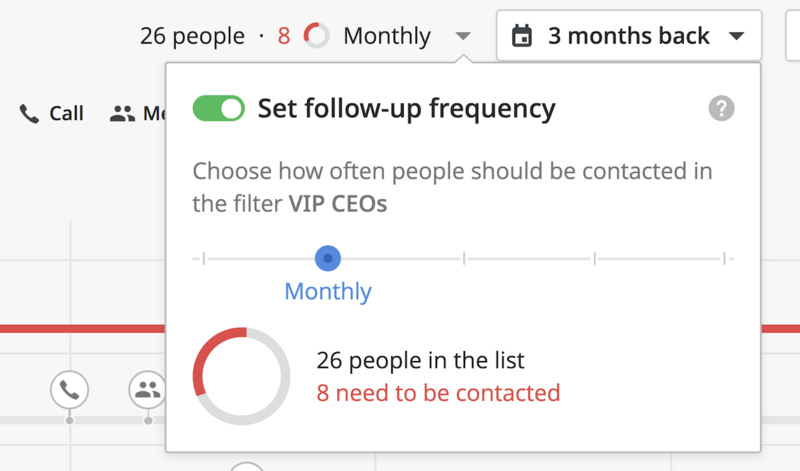 Activity reminders also help you manage prospects through your sales funnel by not letting important sales activities slip through the cracks. Most CRMs come with activity reminders that can help you stay on top things. 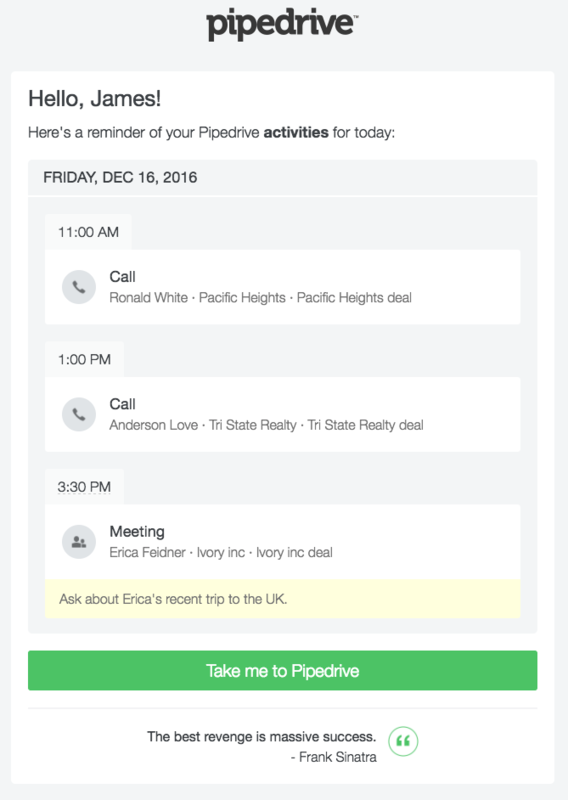 Pipedrive’s activity reminder and notification features remind you of important prospect-related activities. You can create sales funnel activities and then create reminders or notifications related to those activities. Sales funnels are important so that you stay focused on carrying out the right sales activities at the right time in the prospect relationship. If you’re in the Awareness phase, you are engaging in prospecting or lead generation activities. If you’re in the Evaluation phase, you are sending your customers quotes or proposals so they can evaluate their options and ultimately make a purchase. Sales funnels serve as reminders of what needs to be done and when. CRM software like Pipedrive has automation tools, activity reminders, and activity schedulers that help you plan and execute activities that coincide with the stages of your sales funnel. Pipedrive also makes it easier to implement your sales funnel by showcasing upcoming and overdue activities, which keeps you focused on the activities throughout the entire sales process that matter. What Is the Difference Between a Sales Funnel and Pipeline Stages? A sales funnel reflects the prospect’s journey or path that takes them from awareness to customer. It encompasses actions you take to create this journey or experience. Pipeline stages are the stages of opportunities or deals. They reflect the sales process from the salesperson’s perspective. See our article, 8 Sales Pipeline Stages Every Sales Team Should Have. Why Are Sales Funnels Important? Sales funnels are important so that you stay focused on carrying out the right sales activities at the right time in the prospect relationship. They serve as reminders of what needs to be done and when. They also keep you focused on what’s important during each stage of the sales process. What Is Sales Funnel Management? Sales funnel management involves managing prospect interactions and activities from first meeting until closed deal and repeat business. Lead management software facilitates these interactions. See our article on the Best Lead Management Software Options. How Do I Know if My Sales Funnel Is Healthy? Your sales funnel is healthy if you have enough prospects going through it. If you’re moving enough prospects through the funnel with the experiences and interactions you create and if you are able to profitably convert enough prospects into paying customers, your sales funnel is healthy. See our article on Sales Metrics – 17 Reports That Improve Your Sales Pipeline Performance to help measure your sales funnel health. Sales funnels are an important part of the sales process because prospects’ experiences with your company will determine whether or not they become customers. It is critical to think about and plan your sales funnel or prospect journey ahead of time rather than taking a reactive approach because well-thought-out strategies have better results. It is also important to execute your sales funnel in a CRM tool that will keep your sales funnel activities front and center. Pipedrive is the best tool for doing this because it allows you to visualize your pipeline and your corresponding sales funnel activities. Sign up for a free trial and see how Pipedrive can bring your sales funnel to life. Hey, Mark, thank you for such a comprehensive post concerning sales funnel. I love the process you have indicated in your article and I am sure that a lot of startup owners who has yet to finalize their sales processes or doesn’t know how to start will find this very helpful. Hi Mark, I loved this awesome article. I want to know what do you think about Microsoft CRM? Here is our Microsoft CRM review. https://fitsmallbusiness.com/microsoft-dynamics-crm-review/, along with other CRM reviews. Hello Mark, I absolutely loved this article. It’s very thorough. I wanted to ask in Step 3 that is “Defining the Criteria for Each Stage” in each sub-step if the customer is not responding to sales call we are sending them back to the previous sub-step. In between each sub-step, can we put one more stage where we are approaching the customer one more time through Email or SMS where in we give them a last chance to move forward and if they don’t reply to it, then we put them back in the previous sub-step?